that is why we offer you as a guest of our Hotel Alpenhof Postillion the possibility to relax besides the every day routine! In the basement of our Hotel you find our Indoor-Swimming pool. 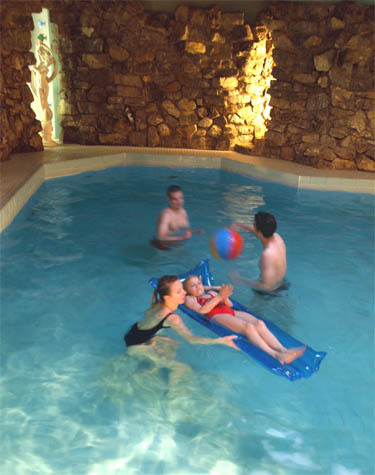 In our Wellness-area you find an indoor pool and a Sauna (extra charge). Our Indoor Swimming pool is waiting for you! Float through the water in light and friendly atmosphere or start the competition with our waterstream machine. the pool has a over all depth of 1,35 m!